Join us this year at the Redemption Church Student Center for our Second Annual Business Expo! Last year's event was such a success that we had to find a larger venue to accommodate our participants! Don't miss out on this opportunity to showcase your business to the community. Register TODAY! 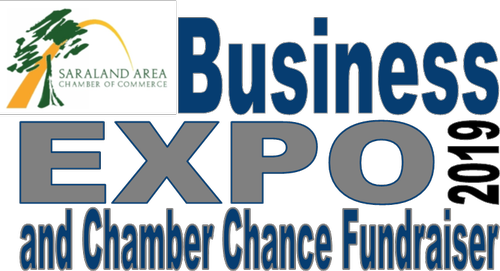 We will once again have our ticket chance/silent auction that we are naming "Chamber Chance". You will be able to purchase tickets for our raffle items and drop them into the bin of the item you would like to take a chance on winning. This fundraiser helps to fund our many programs and services throughout the year.